Four great New Yorkers were honored with Civic Fame Awards at the CityLaw Breakfast on May 26, 2016. The Civic Fame Award recognizes persons who have made significant contributions to the civic life of New York City. In a happy and joyous ceremony, each awardee was individually presented with a specially created certificate bearing the striking image of the 25-foot-high, gilded figure of Civic Fame which stands on top of the Municipal Building. Civic Fame is the colossal, 25-foot tall gilded female figure in a flowing robe who stands barefoot on a sphere at the top of the Municipal Building overlooking City Hall. Civic Fame, created in 1913 by sculptor Adolph Weinman, carries a five-sectioned crown representing the five boroughs, and a shield and laurel branch representing victory and triumph. 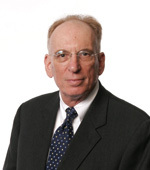 On May 1, 2015, the statue also became the name of a new award by New York Law School. The annual Civic Fame award will honor individuals who have made significant and long term contributions to the civic life of New York City. 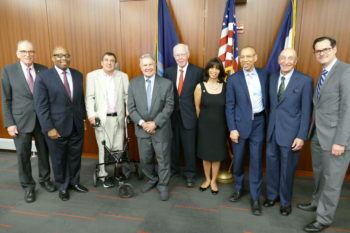 The four initial honored awardees include a private business leader who accepted major civic assignments, a foundation executive who devoted herself to developing innovative civic programs, a Law Department lawyer who represents the best in the legal profession, and a younger NYLS graduate who has given special service to the Center for New York City Law. Each awardee received a unique certificate bearing the striking image of Civic Fame.